The first lot of ticketholders descended on London's Printworks Kitchen for an avocado-themed brunch by Whirlpool and events company Meredith Collective last Sunday (10 April). The event saw guests choose from three of five dishes, with options such as avocado gazpacho, grilled harissa spiced chicken with avocado salsa, and avocado macarons available. Avocado margaritas were also served on arrival. 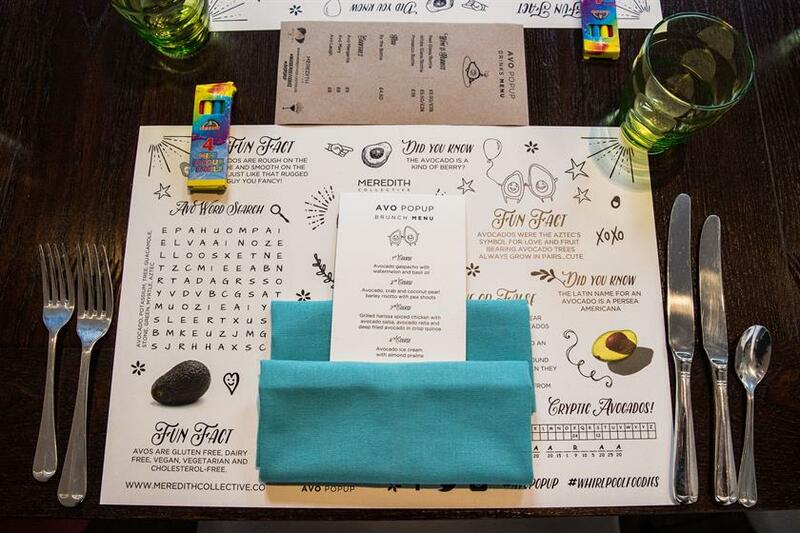 The space itself was complete with avo pop-up signage, and as each guest took a seat, they were greeted by a place mat complete with avocado-based facts and activities. They could also snap an image of themselves in an avocado sign. Meredith O’Shaughnessy, CEO at Meredith Collective said the overall concept has been well received, and the initial event a great success. 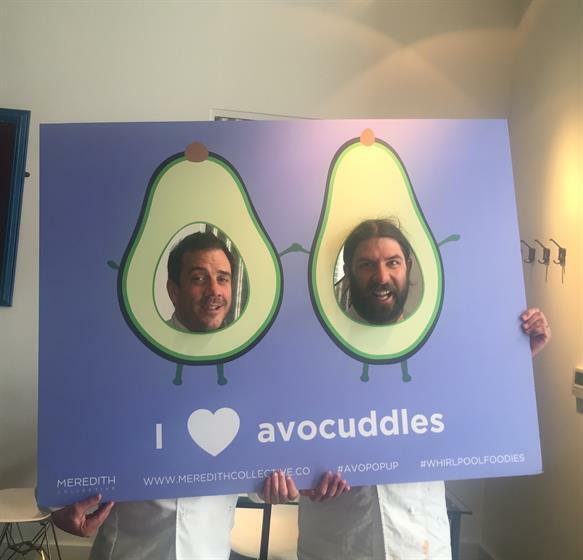 "We have had a simply astonishing response from the avocado pop up and it really shows how much an innovative, creative concept and a well thought through experience can really capture people’s imaginations. "Our audience went absolutely crazy for it on Sunday and loved both the food and the lovely interactive elements. Were really excited for the next events." She believes the concept blurs the line between general consumer events, and those where a brand - in this case Whirlpool - is involved. 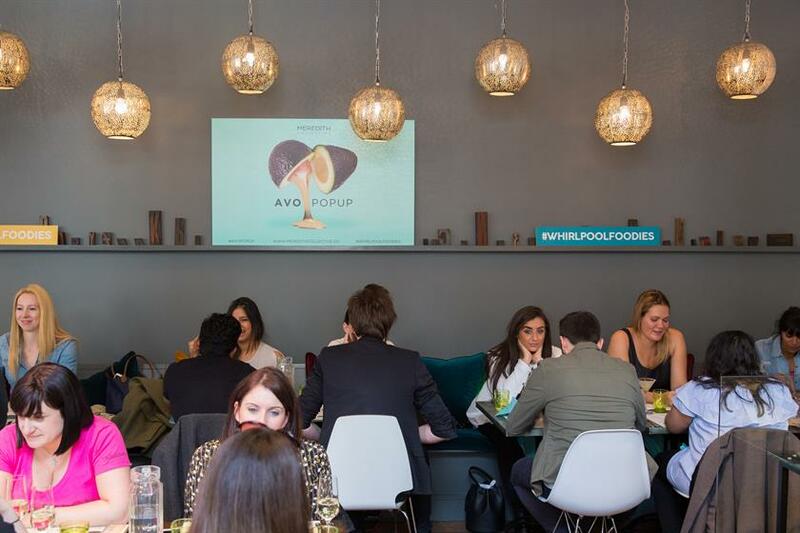 "The avocado pop up has really reinforced the ongoing work we do with Whirlpool and crossed the divide between public events that people buy tickets to and branded events where our audiences can immerse in the brand and experience it first hand. "It’s a totally unique and personal way for brands to engage with their audiences and we find that [...] the pop-up gives us the freedom and creative capacity to create wonderful experiences that convert brand messages and values." O’Shaughnessy added that experiences like these offer attendees the chance to engage with brands in new and unique ways. "We really feel that this idea of a pop-up event is a new luxury, and that it’s not really about running a brunch club or a brand event, it is about creating branded moments that are 'beyond experiential' and truly immersive, enabling the consumer to connect with brands in a fun and totally different way." The brunch event will return to London on 8, 28 and 29 May, with additional dates just added for 11 and12 June. Tickets are £55 and include a welcome cocktail, plus three of the five courses available at the pop-up. Whirlpool is providing all of the kitchen equipment for the events, which form part of the brand's #WhirlpoolFoodies live culinary series. The brand also collaborated with Meredith Collective last June, to deliver a launderette bar experience known as Dirty Laundry.